Sister Diana Johnson Josey was born in Lancaster County, SC on November 4, 1944. She was the eldest child of the late Mr. Robert Johnson, Sr, and Sister Almeta Pratt-Johnson. She departed this life on November 23, 2018. Diana will be long and lovingly remembered and cherished by many: her husband, children, family and all those who have known her a lifetime. Diana attended the public schools of Lancaster County, including Hillside High School. She became married to the love her life, Brother Albert Josey in April of 1973. This union lasted 45 years, three children were born; Gregory, Torrey, and Demetrious. Her children remember her as being quiet, soft-spoken, generous, and lived a simple quiet and caring lifestyle. She was indeed a good homemaker, and a caretaker for her husband during his illness, as well as a good mother and grandmother and an independent caregiver for the others for about 25years. As a young girl, Diana attended The Church in the Lord Jesus Christ of the Apostles Doctrine, Inc. along with her mother and family. She was baptized in the name of Jesus Christ and received the Gift of the Holy Ghost. Her Parents; Robert and Almeta, sister Patrica, and brothers Robert Jr, and James Henry all preceded her to the grave. She leaves behind to cherish her memories: her husband Brother Albert Josey of Sumter, SC. Three children, Gregory Josey of Lake Norman, NC; Torrey Josey of Charlotte, NC and one loving daughter that was the caretaker of her mother; Demetrious Josey “Peaches” of the home. Her siblings: Carolyn (William) Oree of Lancaster, Betty (Randy) Clyburn of Monroe, NC; Rosemary Johnson of Lancaster, SC; and Larry (Carolyn) Johnson of Lancaster and brother Aaron Johnson of Bennettsville, SC. 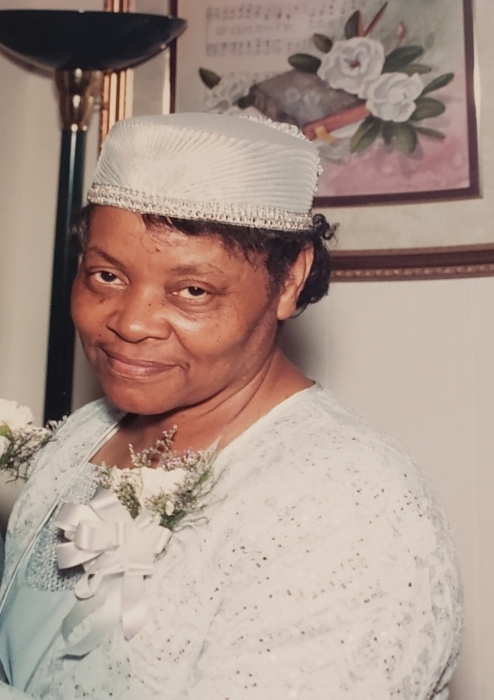 Her mother-in-law; sister Ruby Lee Josey of Darlington, SC, a brother-in-law Ernest (Sharon) Josey of Florence, SC. Sisters-in-law; Maggie (Willie) Abraham of Florence, SC; Ethel (Kenneth) Dubose of Darlington, SC and Rudine (Willie) Ham of Timmonsville, SC. Eight grandchildren; Katora Lorraine, Melaney Divine, Chance Torey, Lukas Jabari, Isaiah, Nyseer Zariah Samira, Darien Nigel, and Alexandria Shianne. She also leaves two very special friends, Kerstin McDuffie of Leesburg, VA and Sister Angie Parker of Florence, SC. A host of nieces, nephews, relatives, friends, and a large church family.